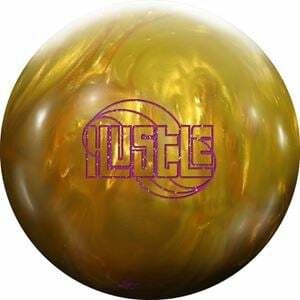 The Hustle symmetric core, as made famous by previous releases in the Hustle line, has a medium RG/low differential making it the perfect combination for a controllable backend reaction. Featuring the VTC-P18 pearl reactive coverstock finished at 1500-grit polished, as originally seen on the Winner, the Hustle Au will shake, rattle and roll through light to medium lane conditions, storing energy for a strong backend finale. Created with versatility and reaction in mind, the Hustle Au does not disappoint. Compared to the rest of the line of Hustle's, the Hustle Au just like the Hustle 3TP will provide the most length with more backend reaction due to the pearl cover.